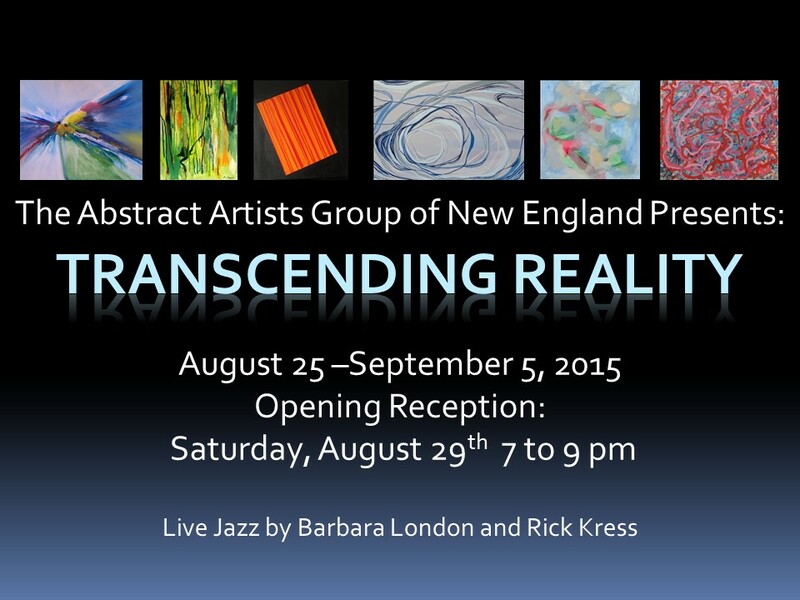 Please join us tonight for the reception for “Transcending Reality”, the annual exhibit for the Abstract Artists Group of New England. The reception is from 7 to 9pm at Newburyport Art Associationar, 65 Water Street, Newburyport, MA. In addition to a fabulous collection of abstract art in various styles, colors, mediums and sizes, there will also be live jazz performed by Barbara London and Rick Kress. Not to be missed.